The legendary shore temple of Somnath is one of the twelve most sacred Shiva shrines in India. 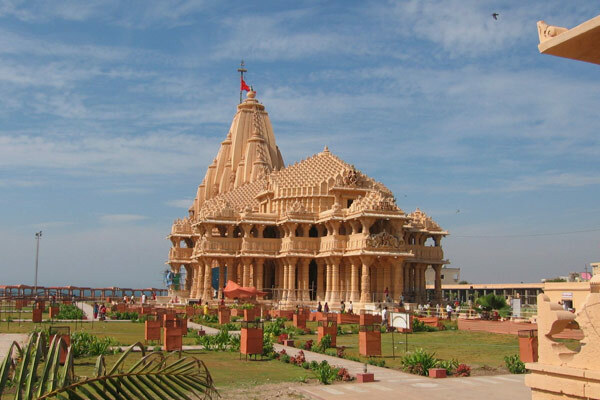 According to the legend, Somnath is as old as creation, built by none other than Som, the Moon God himself. 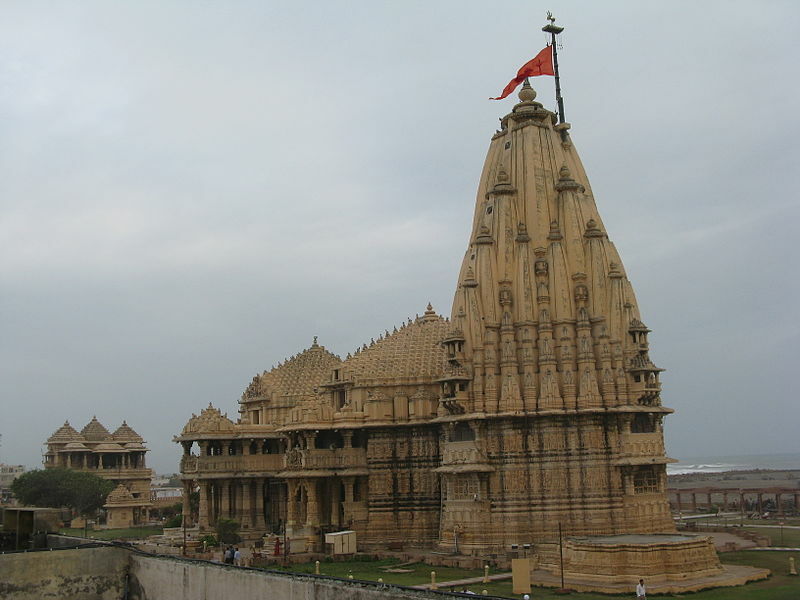 Somnath was destroyed seven times and was always rebuilt. The temple has grown up from ashes, nearly seven times like the bird Phoenix. 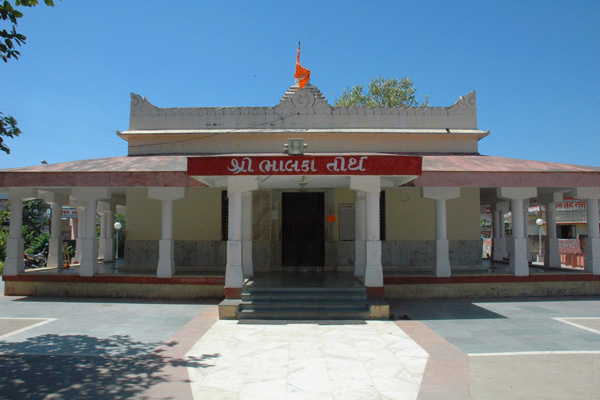 The present structure was built by Ahilyabai Holkar, the queen of Indore in 1783. It was full of a great treasury and when Mehmud of Gazni heard of it he looted the temple in 1026 A.D. and carried away all the treasure that he could. The present site of Somnath is a pile of ruins and little is known of the early history of this place. 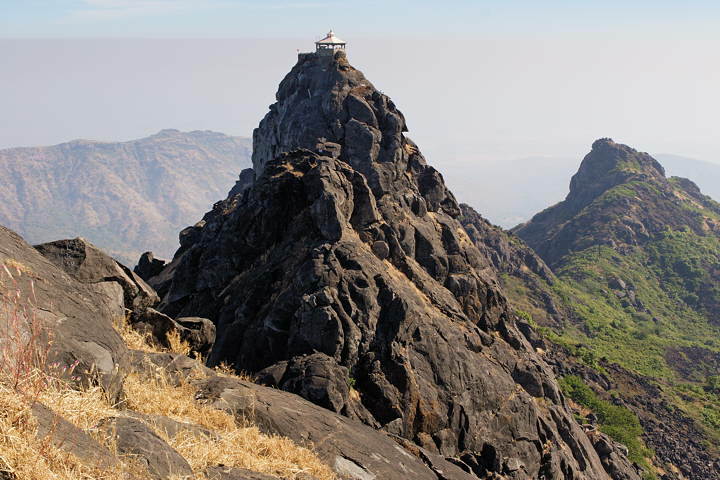 It is believed to have been erected by the Vallabhi Kings in about 480-767 A.D. Although essentially a Brahmanical temple, the influence of Jain architecture is clearly discernible. What remains of the earlier structures lie scattered at a short distance from the site. One can find here the richly carved doorways, the sculptured representations of Nandi, Siva&apos;s bull, and the figures of goddesses and their female attendants.